How do I spell “reminiscing”? How do you spell it? Your answer should be “it.” Not very original, I know! Some days my head likes to wander…do you know what I mean? Going back through time…the years that I have been on this planet, reminding me of small things that have happened in my life. Like playing on the cherry tree over at our neighbour’s, the Leslies. Her name was Anna, His was Oliver!. He was a dentist. They didn’t have any children…but four black lab dogs and a golden spaniel. She loved to garden, and taught me the names of all of her plants. 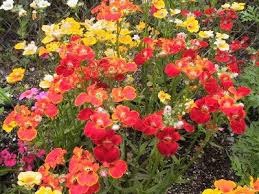 One that I could not pronounce…nemesium! I remember them taking me out for dinner. This was at a time when there wasn’t a restaurant on every corner… Going out for dinner was very special. I even remember what I wore….a lilac coloured taffeta dress, with black patent leather shoes! I even remember her Christmas gift to me back then…A small piece of blue and white Wedgewood china… I had that for years, but with all the moves, it has disappeared. 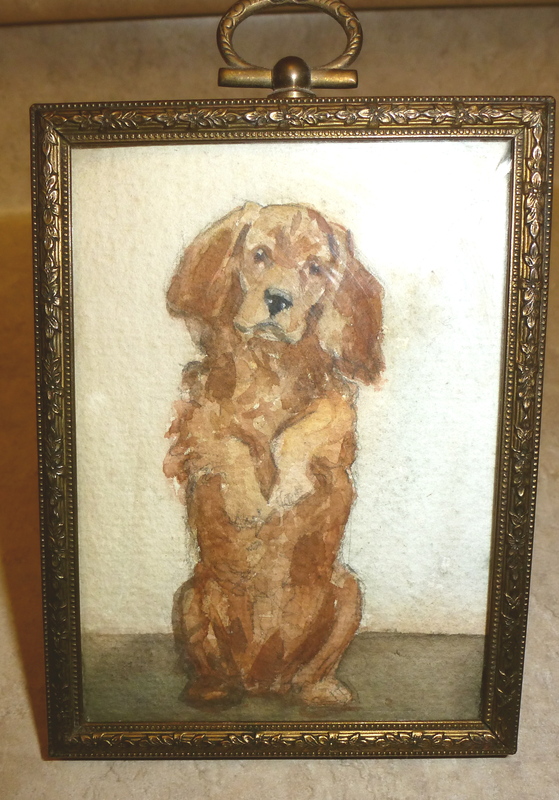 I still have the small watercolour painting of Goldie, her little dog… it is 82 years old… the painting, not the dog. When my three boys were growing up, we would go to see her at Christmas, with a box of my Christmas baking. The last time we went was very sad. She acted very normally, but asked me if I remembered the Vogler’s who used to live on the corner…. Yes, I remembered them… it was me and my family. It’s a sad thing to see the mind go. It’s probably the cruelest indignity of aging. I’m so glad that your memory is sound and that you share your precious memories with us.